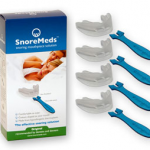 With the increased number of patients suffering from chronic snoring issues, a search for the best snoring solutions continues. 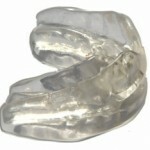 Snoring is caused due to the irregularities caused in the soft palette of the throat. Your sleeping posture is also a main determinant that can cause snoring problem. The constricted air flow usually makes vibration of the relaxed muscles and you make weird noises while asleep. 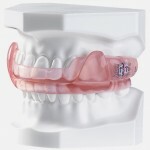 Tongue position is another factor that can cause snoring as it can also obstruct the proper air flow. Snoring can either be mild or can be severe. Mild snoring may stop when you shift your position while asleep but severe snoring may continue forever if not treated at the right time. Being masculine gender – The percentage of male snorer is relatively much higher than female snorer. Male tend to have a narrower throat than females therefore males are more likely to snore. Throat infection and cough & cold – When you suffer from cold and cough problems especially in winters, you tend to snore because of the blockage of the airway passage. Family history – Snoring like other health issues are also linked with hereditary. Physical attributes like narrow throat are genetically present from birth. Aging – As you grow older, your throat muscles tend to relax more causing obstruction in the air passage making you snore. Smoking – When you smoke your muscles gets relaxed and creates an obstruction in the nasal passage thereby making you snore. Obesity – Being overweight creates accumulation of fatty tissues especially around the neck and creating an obstruction in the smoother airflow passage thereby causing snoring. How you sleep – A bad sleeping posture is also one of the reasons why you snore. When lying flat on the bed, it relaxes your muscles thereby causing you to snore. You can avoid the above mentioned causes of snoring through snoring solutions like anti snoring-pillows, snoring mouth guards and abandoning habits such as smoking and drinking alcohol. Exercise everyday to remain fit and not accumulate the extra fats in your body which is also one of the most common reasons of snoring. 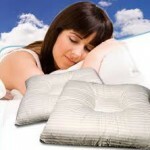 Sleeping without a pillow may not solve the snoring problem and is not a snoring solution. In fact sleeping without a pillow may increase the snoring problem instead of giving any benefits. The sleeping posture is one of the most important aspects that causes or can treat snoring problem. Sleeping in the floor without a pillow may not channelize the proper airflow and will result in snoring. Instead, you should get some anti-snoring pillow or a pillow that keeps your body posture correct and do not obstruct air flow. Having the right kind of pillow and proper elevation during sleep is the best snoring solutions you can look forward too.